Do not underestimate the usefulness of bananas. Addition to being the most favorite local and international athletes, because the filling but not fattening, bananas are also very nutritious for our health and beauty. The fruit is not only easy to digest, but it also contains nine nutritional content and restore energy. Compared to other fruits, bananas are prone to be enjoyed because it does not need to be processed. Just so you know, a ripe banana which will contain 99 grams (g) calories, 1.2 grams of protein, 0.2 g fat, 25.8 milligrams (mg) of carbohydrates, 0.7 g fiber, 8 mg calcium, 28 mg phosphorus, 0.5 mg iron, 44 RE vitamin A, 0.08 mg vitamin B, 3 mg of vitamin C and 72 grams of water. But to get the benefits, you need to carefully choose. The reason is simply a ripe banana that could be changed into glucose in blood sugar naturally, as well as fast diabsorsi into the blood circulation. Bananas can be digested easily, so that the sugar contained therein will be converted into a good power source for the formation of the body, working muscles and also very nice to eliminate fatigue. Women who are pregnant are encouraged to eat bananas, because they contain high folic acid is important for the perfection of the fetus, the formation of new cells and preventing birth defects occur. A ripe banana, will contain about 85-100 calories. Therefore, by eating two fresh bananas, the need for folic acid which is about 58 micrograms can be fulfilled. In addition, the banana will help keep blood sugar levels can reduce sick morning, so the banana is very good for snacks and pregnant women. Iron content is high enough on bananas can stimulate the production of hemoglobin in the blood for patients with anemia. 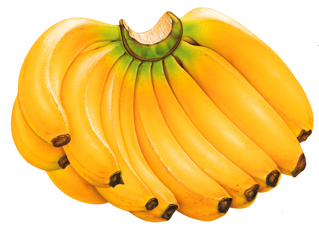 Two bananas a day, very good for patients with anemia. As a fruit that can be consumed directly, bananas do not make the irritation or damage to the intestine for ulcer sufferers. The fruit is often used to fight bowel disease, because the texture is soft. Bananas are also able to neutralize excess stomach acid and stomach lining so as to reduce irritation. For those who experience bowel disease or colic due to stomach acid, you can consume it with a glass of milk is mixed in liquid. For patients with liver, two bananas a day with the addition of one tablespoon of honey, be good to supplement and enhance a strong appetite. Especially for patients with burns, you can use banana leaves as a treatment. The trick, of burning the skin with a mixture of ash dioles banana leaves and coconut oil. This mixture was able to cool the burned skin. Bananas contain potassium, which is a vital mineral which helps normalize the heartbeat, sends oxygen to the brain and regulates moisture balance in the body. When experiencing stress, the body’s metabolism will increase drastically thus reducing the body’s potassium levels. With bananas, potassium levels in the body will be balanced. Based on the research of The New England Journal of Medicine, eating bananas every day would reduce the risk of death from stroke by 40%. In some countries, bananas are regarded as cooling foods that may reduce the physical and emotional temperature of pregnant women. In Thailand for example, pregnant women eat bananas to ensure the baby is born with a cool temperature. In an English school, 200 students able to complete the final exam with just a banana for breakfast. They also frequently consume bananas during recess and lunch, because bananas can improve brain power. British School is a research respondents, and proved that the potassium in bananas to make the students become more active in the learning process. On the other hand, bananas are also useful for beauty. As in other fruits, like avocado, yam and cucumber, bananas are also often used as a face mask, or to cope with damaged hair and smooth the hands. Bananas also have a role in the decrease or increase the weight. A study has shown, that a person can lose weight with a diet of bananas. If you want to remove the weight, how easy. Every day consume four bananas and four glasses of non-fat milk or whole milk a day. Do it for three days a week. Of bananas and milk, you get 1.250 calories. The menu is quite healthy for your body. Besides weight loss, diet banana also helps the skin become cleaner and not greasy. Those who want to add weight, consume one drink a banana shake mixed with honey, nuts and mango, after meals. This menu if consumed every day, will help raise the weight. Not many people know, that banana was also able to help smokers overcome nicotine addiction. Vitamins B6 and B12 found in bananas, can neutralize the effect of nicotine in the body. Even the enzyme bromelain which is contained in the banana one, proven to improve libido in men. Efficacy of clove oil is not as popular as olive oil or eucalyptus oil. But the oil of cloves is also no less efficacy for health. Clove oil is a volatile oil that can be used as alternative medicine. Many substances contained in oil of cloves are antibiotics, anti-virus, anti-fungal and has efficacy as an antiseptic. Also found also around 60-90 per cent eugenol in clove oil. Other content in it is a substance tedapat manganese, omega 3 fatty acids, magnesium, fiber, iron, potassium and calcium. Vitamins are also needed by the body in it, especially vitamin C and vitamin K.
Based on the research found that clove oil can reduce inflammation in the body, boost the immune system naturally, accelerate blood circulation, increase metabolism and help cope with stress and depression. 1. Clove oil is useful for improving the respiratory conditions. for people who suffer from runny nose, nasal congestion, viral infections, asthma, tuberculosis or bronchitis can use clove oil. Drink mix 10-15 drops of clove oil in a glass of boiled water. It is also effective to overcome the symptoms of sore throat. 2. Clove oil can cure a toothache. Eugenol substances contained in clove oil can be a pain killer as well as bacteria and fungus naturally. Drops of clove oil and olive oil to a cotton ball, then stick with holes in the teeth or pain. This technique can also reduce inflammation. 3. Clove oil for reducing sore muscles and joints. Inside there are calcium clove oil, oil, omega 3 and iron all of which can contribute in strengthening the joints and bones in the body. 4. 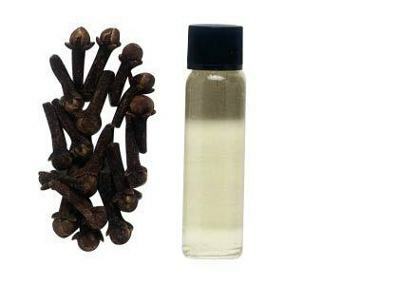 Clove oil to treat skin conditions. Clove oil can be used to heal the skin naturally, treat insect bites and reduce the chances of infection. As quoted from AOLHealth, although the clove oil is a natural remedy, but should still pay attention to how to use it. Since not many studies showing the effectiveness of clove oil in humans. For someone who has a high sensitivity (hypersensitivity), should be careful in their use to avoid allergic reactions. Also, for people who are taking anticoagulant drugs (blood thinners) or antiplatelet drugs should reconsider using it and consult your physician first. Beautiful body into everybody’s dream. 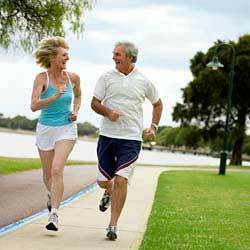 To achieve a beautiful body, below given are some tips for you. 1. Bath with 35 grams of powdered milk for 20 years in bathub. The nutrient content of milk good for the skin needs to be smooth and moist. Besides drinking milk is also highly recommended for smooth skin. 2. Lemongrass and crushed leaves and apply on the body that contain cellulite / strokes. Essential oils of lemongrass to reduce muscle fatigue after the move. 3. Soak in warm water solution plus 5 grams of salt to neutralize both toxins in the body. Make the body become relaxed and the skin becomes smooth. For those who suffer from high blood pressure, should consult with your doctor before doing this activity. 4. Soak the foot with a mixture of lemon juice in warm water for 3 minutes. Good to beautify your nails feet and hands. This formula also removes yellow stains on the nail caused by cigarettes or other substances.